Pocket technology provides an outlet for marginalised youths. FreqOUT! 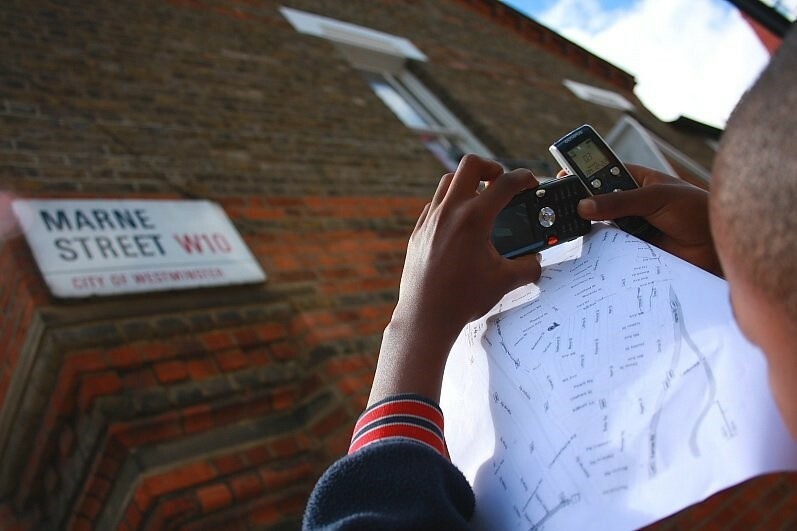 is Vital Regeneration’s innovative London-based community education programme, which demonstrates to socially-excluded young people ways in which they can exploit the artistic and educational potential of wireless technology. With the involvement of professional filmmakers. FreqOUT!’s aim is to create media works by encouraging the socially disenfranchised to use technology in a new and exciting way, such as "sniffing" CCTV signals to create films from footage and using mobile phones to make "pocket films". Such has been the success of FreqOUT!’s work in and around the westminster area of London that it has received interest from BBC Blast, who have invited it to tour around the country. The work was also selected to be shown in the Pocket Film Festival at the Centre Pompidou in Paris, demonstrating the calibre of the work that this inspiring project has created. Films from project FreqOUT! can be viewed on the Vital Regeneration website.